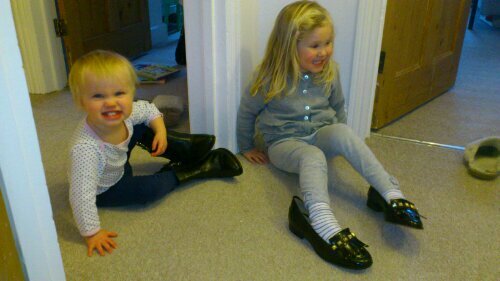 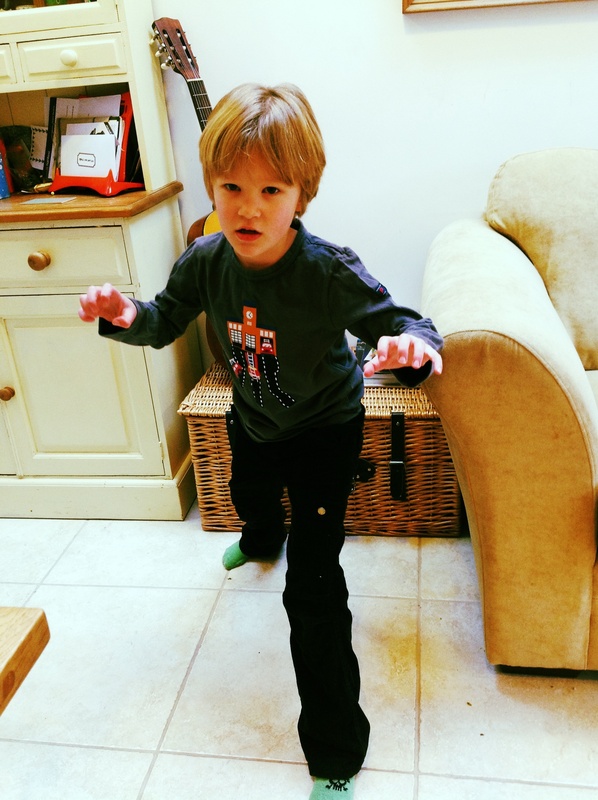 What is it about Mummy’s Shoes? 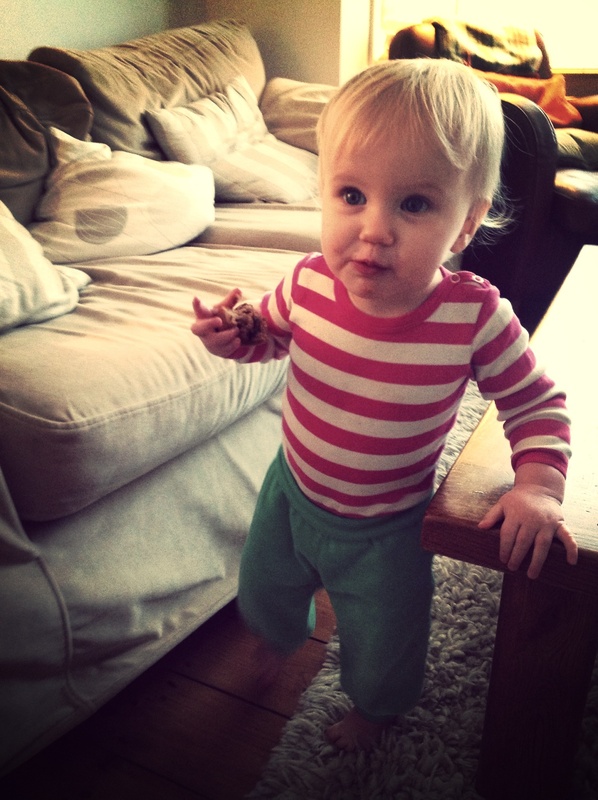 Izzy wears, a Katvig vest from http://www.tootsieandfudge.com/ her green velour baby pants by Ej Sikke Lej from http://www.yellowlolly.com and quite a lot of banana and chocolate chip muffin. 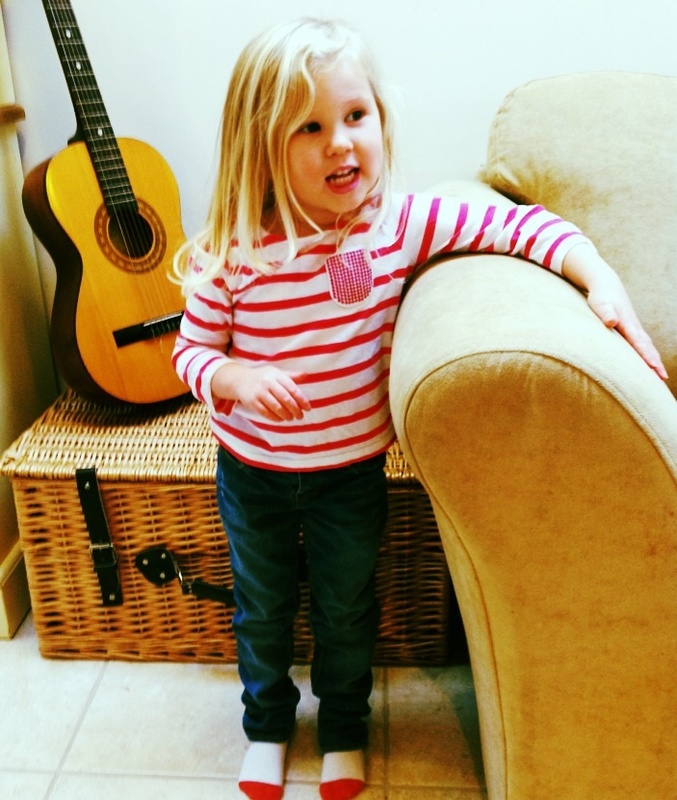 Maisie wears a pink, Breton stripe top from Baby Gap and slim fit jeans from Zara Kids.